Your journey of salvation begins at ‘The Diana Pavilion’ or ‘Diana’s Doorway’ which was the monumental main entrance by waterway to the Barbarigo estate during the 17th and 18th centuries. Here, there was a landing place for boats coming across the so-called “Valle di Saint Eusebio”, from which the name “Val San Zibio” originates. In that era, the watery marshland extended over several miles, but today only a small pond (called the Paludo) mirroring the elegant pavilion can be seen. 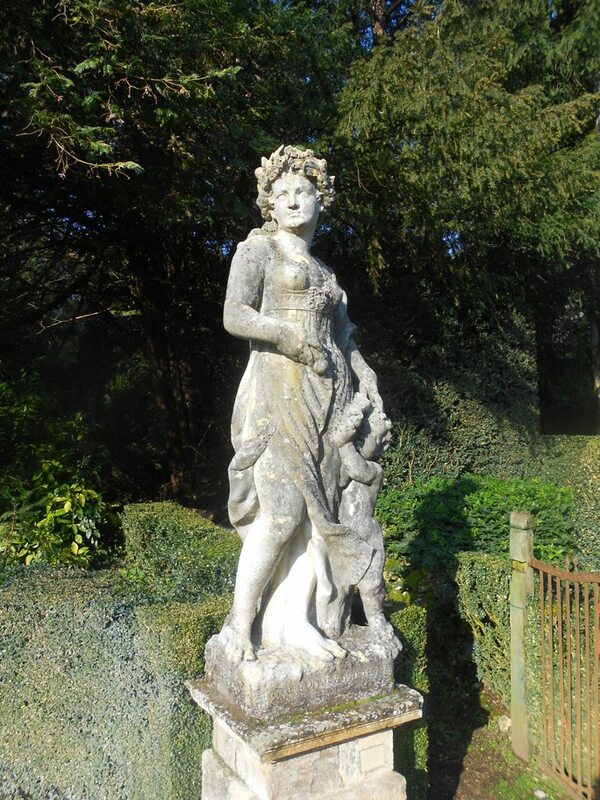 The Diana’s Doorway is beautifully decorated with fountains, low reliefs and statues on top. 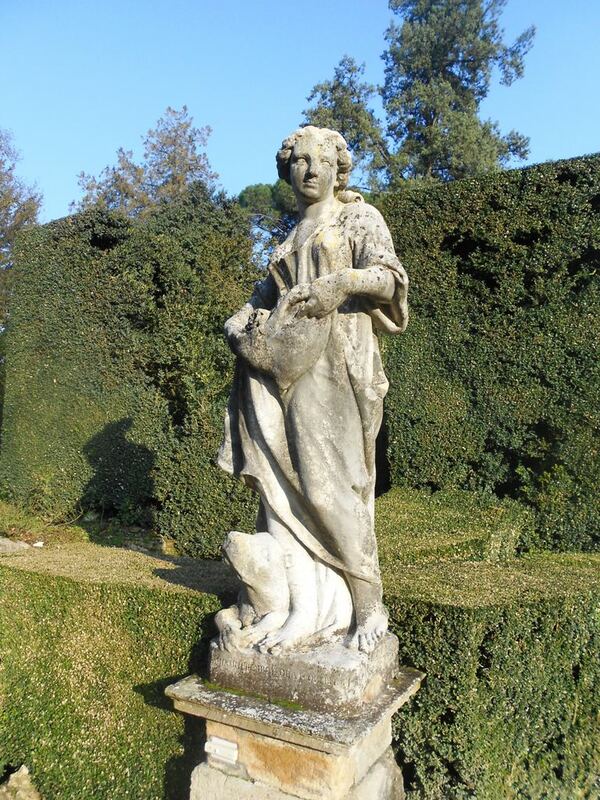 These statues are dominated by Diana-Luna, the Goddess of hunting and devotee of nature, wild animals as well as to changes and wonder. Thus, by entering the garden through Diana’s Doorway and passing under “Sileno’s Archway” you begin the allegorical purification, or salvation, path desired by Cardinal Gregorio Barbarigo, as a result of the solemn ‘vow’ made by his Father to God in 1631 for saving the family from the plague. 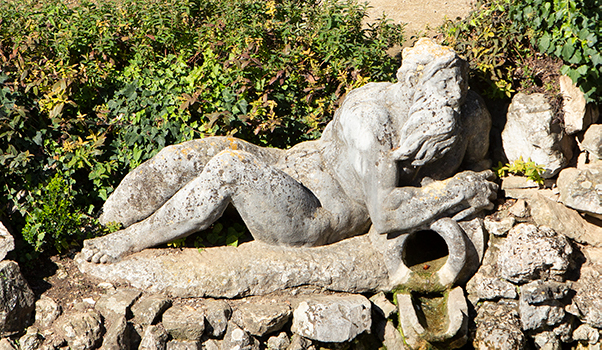 The allegorical journey begins by walking along the Decumano or Fish Ponds Boulevard, and the first element that you encounter in your purification journey is the fish pond called Diana’s Bath or the Fishery of the Rivers (pictured above). Here, after leaving the impure and stagnant water of the marshland, you allegorically start the passive washing of your soul with the fresh and pure water of the rivers. 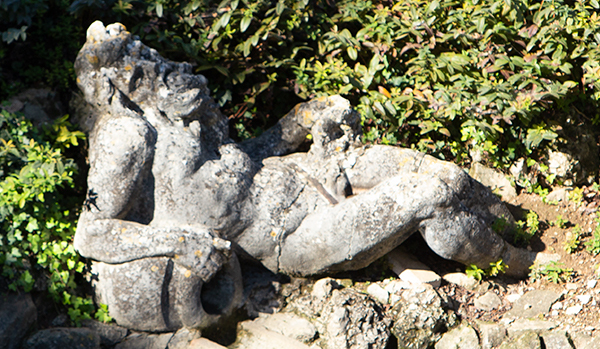 The two statues lying down towards the end of the fish pond (pictured below) represent the two main rivers of the region, the Bacchiglione and the Brenta. Then, after passing the Rainbow Fountain, where the sun’s rays crossing the mix of water and air make an everlasting rainbow, you encounter the Fishery of the Winds. Once again, after the pure water, it is now the fresh and pure air of the winds that carries on your purification. Leaving behind the Fishery of the Winds, you arrive at the centre of the garden, near the Pila or Conca Fountain, where the Decumano intersects perpendicularly with the Main Boulevard, otherwise known as the Central Boulevard or Cardo. 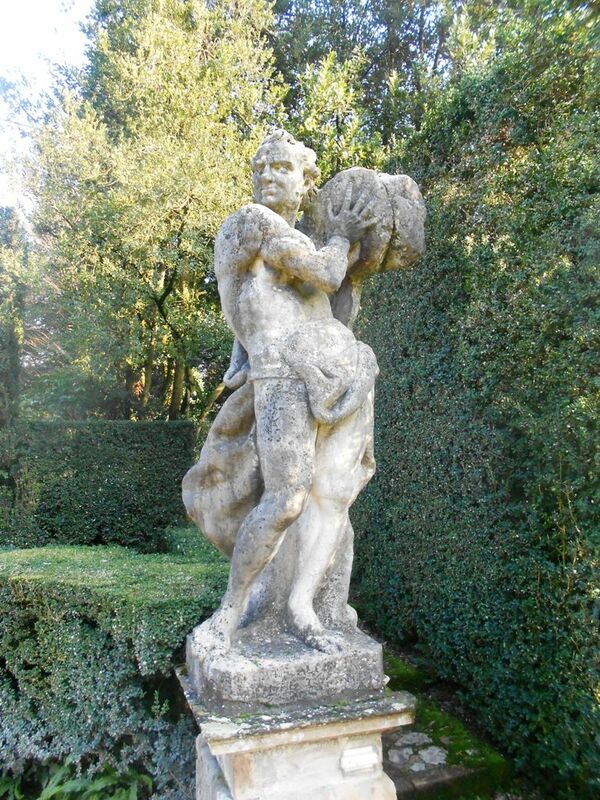 Around the Pila Fountain there are four important statues: Argo, Mercury, Fecundity and Salubrity (pictured below). 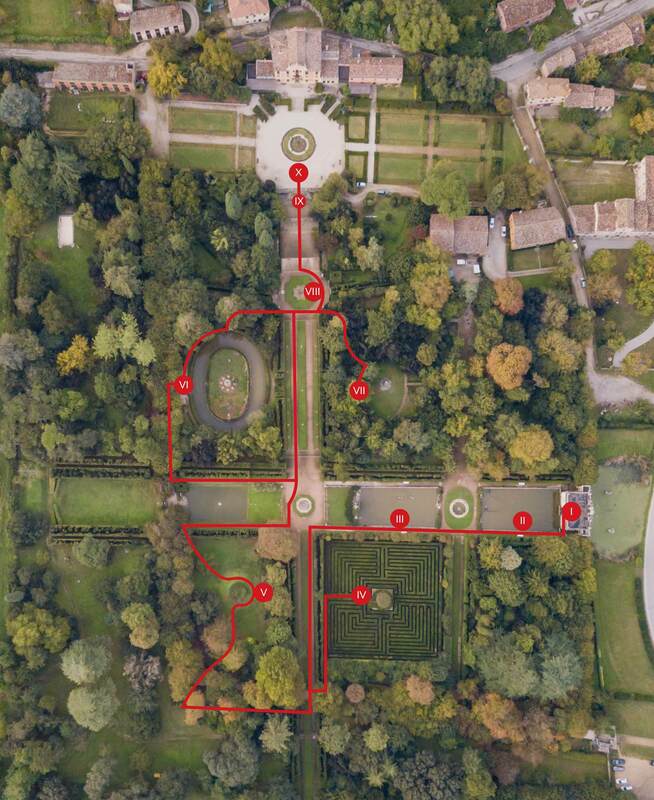 From this point, you see the Villa Barbarigo on the right which is the desired end of your allegorical journey. However, you are not ready to turn right, because you are still impure, full of sins and confused about your mortal role. At this important step on your allegorical path, you need to start an active purification by forcing yourself to turn left on the Main Boulevard. By turning left you walk close to the Labyrinth on your left side—an essential stage on the road to salvation. On the right side, you are close to the ‘Romitorio’ or Hermit’s Grotto— an allegorical place where you can meditate on the revelations realised during your journey through the labyrinth. 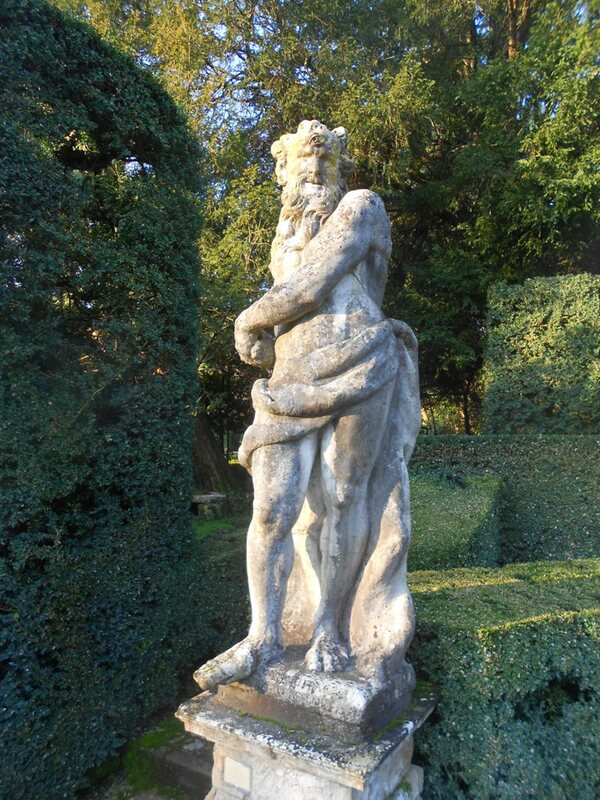 Once you have completed your allegorical journey through the labyrinth and you have meditated in the Hermit’s Grotto, you return to the centre of the garden next to Pila’s Fountain. Now, you are finally ready to move forward toward the Villa and the end of your salvation path. Moving along the Main Boulevard toward the Villa you walk next to the Rabbit Island on the left and the Monument to Time on the right. The rabbits’ island or rabbits’ warren is one of the only surviving examples found in the handful of historical gardens that still exist today. It is is a physical representation of how the human body is limited by the confines of space and time. 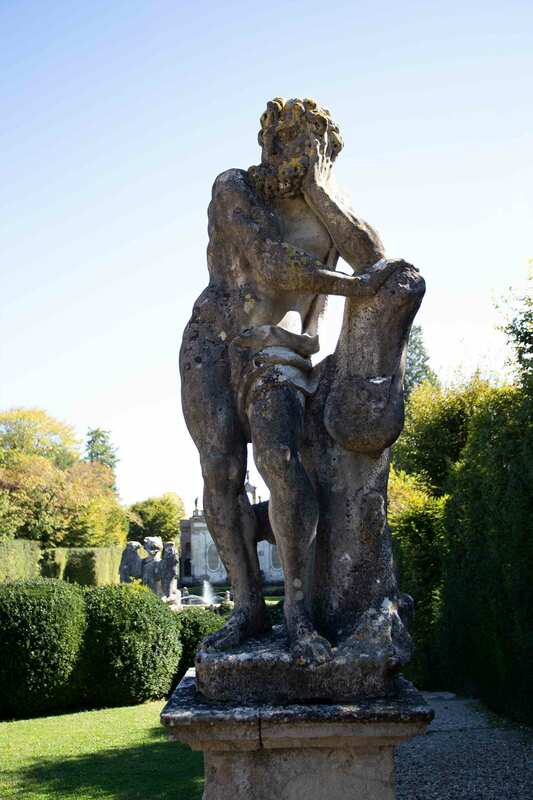 On the opposite side of the same Boulevard, juxtaposed with Rabbit Island, you will find the Monumental Statue of Time. His flight across space is blocked which symbolises the spiritual condition in which the human soul travels beyond the limits of space and time. Both locations encourage you to ponder your earthly role within the wider context of space and time. After you have visited the Rabbit Island and the Monument to Time, you return to the Main Boulevard and pass through the Fountains of Tricks or Water Jokes. Here, there are also some inviting stone benches which encourage you to take a seat and you will want to, because, arrogantly, you believe that your allegorical path is finished. However, an abundant numbers of water tricks/jokes will make you realise your mistake and tell you that you need to keep moving forward; the purification journey is not finished yet. 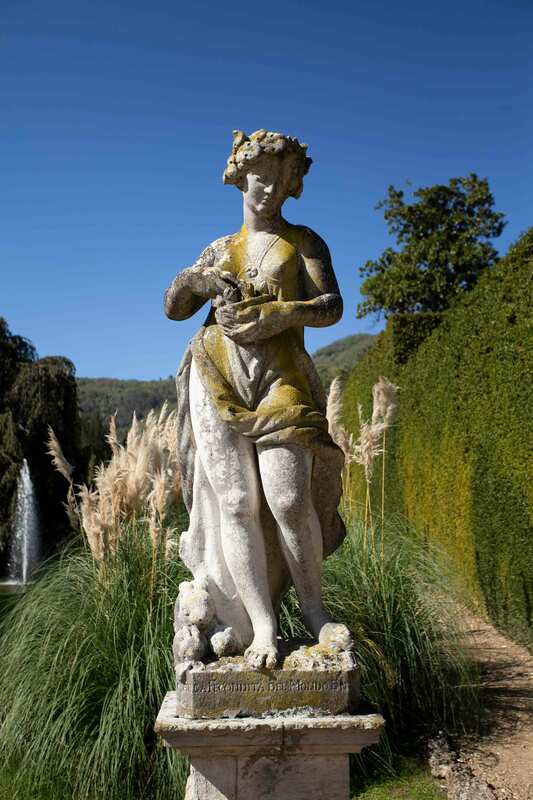 Around these fountains you will find another four important statues: Tifeo, Polifemo, Ope and Flora (pictured above). 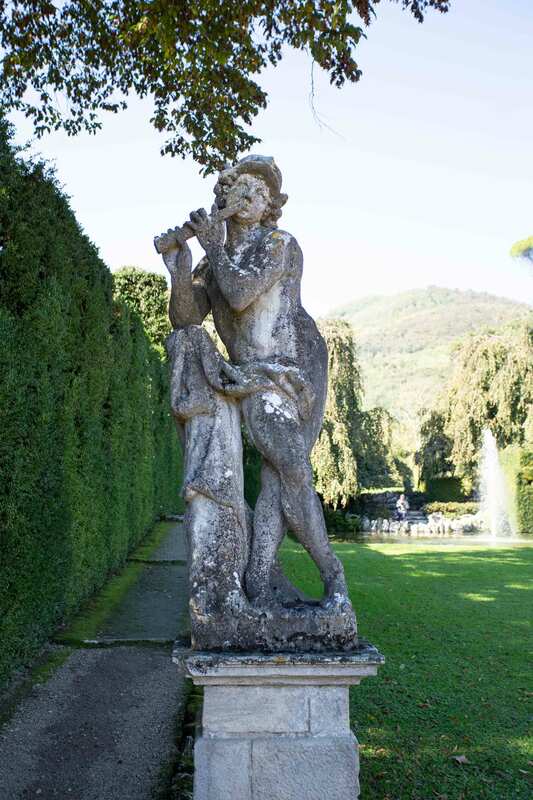 Finally, you reach the Staircase of the Sonetto, inscribed with revealing verses which leads to the Square of the Revelations in front of the villa. 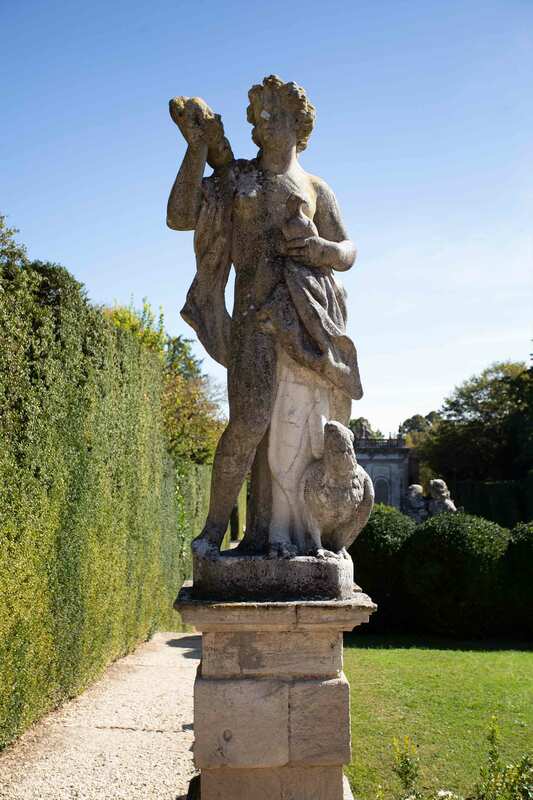 In the square are displayed eight allegorical statues representing the Garden’s qualities (the Statue of Adone or Beauty, of Abundance, of Delight and of Happiness) and its owner’s qualities (the Statue of Rest, of Virtue or Agriculture, of Power or Genius and of Wisdom or Solitude). These statues surround the Fountain of Revelations which is the final goal of your allegorical salvation path and of the human pursuit of perfection. The Salvation Path begins at the Diana Pavilion. The Salvation Path ends at the Revelations’ Square.